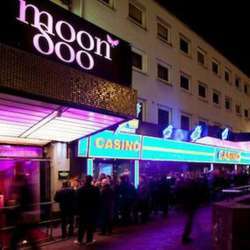 This time the official event is taking place in one of the most liked clubs in the whole city of Hamburg: The Moondoo! This awesome club needs no introduction, everyone knows it or at least have already heard of it! If you're new that's the perfect occasion to get to know the Moondoo! Directly at the exit of Reeperbahn Sbahn station (in the station take the direction to Talstrasse) right when you are out of its stairs, the club will be reserved for us EXCLUSIVELY BETWEEN 20:00 and 23:00!! We will welcome you with a usual welcome drink, for the first 30 checked-in people! We will be able to stay after 23:00 inside the club at no extra fee when the rest of the public joins us. Avoid an additional fee: sign up for the event by clicking the attend button up this page. If you cannot make it you still have the possibility to cancel your attendance, even at the last minute. See you there and let's dance!